Are you an Amazon/eCommerce Entrepreneur coming to Canton Fair this Autumn? Check out the videos & photos from the last meetup! Networking is one of the most important parts of being an entrepreneur, this is why back in April 2015 I started this totally free networking event for Amazon Sellers. In the past three years, the event has grown from a small meetup, to a massive 500+ attendees event, attracting some of the world’s top ecommerce entrepreneur visiting Canton Fair. 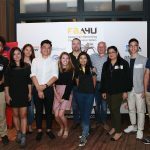 The event is a casual get together for ecommerce entrepreneur, where you can enjoy your free evenings to discuss the latest tactics, techniques and processes that are working for ecommerce in 2019 and network with some of the best brains in the business! It’s really free, I love to network, some of my best contact and lifelong friends have come from this event, we have an Amazing group of people attending Canton Fair every six months and it would be a total waste not to join together to improve our business, our lives and our friendships together! This year we will have some sponsors to help cover the cost of putting on this huge event, but I promise you now! There will be no hard sell from anyone. I have chosen sponsors that I already use in my business, these are tried and tested companies that will help you grow and improve. 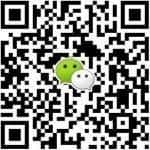 with your travel in China, any problems or help required, drop a message in the group! I am a very experienced sourcing expert, for 17 years I worked for a large multinational company leading their sourcing team, the last 3 years of employment (2012 – 2015) was managing a sourcing team of 16 people in China, controlling the supply of materials to the company’s factories in the UK, Canada & China. This job involved sourcing everything from nuts & bolts, to high-end finished products. Working with top industrial designers in London, product creation teams worldwide to bring a product from the sketch board to reality. I have attended Canton Fair 30+ times and plenty of other exhibitions in China & Hong Kong, I’m a regular visitor to factories in China, I have a broad understand of many production processes from plastic mouldings to metal castings, I have bought most types of products in my previous job. Before coming to China in 2012 I was selling part-time on eBay and Amazon, I treated this really as a hobby to make a little pocket money. In September 2015 I quit my job and started full-time Amazon selling with my first product going live in December 2015. All of my products are designed in-house, I now have 45 products with more on the way! In addition, have already cracked the seven-figure revenue. 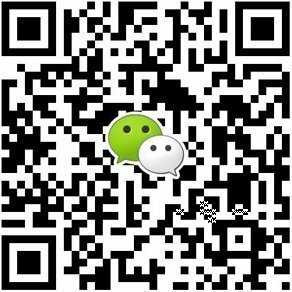 Wechat is the most used app in China…all suppliers will have it…it is great for contacting them after work time for urgent requests, it has an English version you can download on your mobile, search the app store for it! Starting time is 19:00 @ 1920 German Restaurant & Bar; feel free to get there earlier! Phone: +86 20 8709 6032.